A chance visit to my Aunt's place in 6th grade, seeing her iPhone (1st generation), sparked my obsession with the iPhone, Steve Jobs, anything Apple and eventually, User Experience Design. 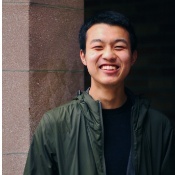 I'm currently a Senior in the University of Washington majoring in Informatics focusing on Human-Computer Interaction. Besides my passion for UX design, I enjoy playing music (guitar), watching anime, reading books, eating good food and hanging out with my friends!